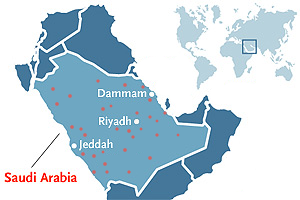 Saudi Group was founded in 1982. It was established as an agent, a stockiest and a distributor of construction materials in Saudi Arabia and throughout the Arabian Gulf. With an impressive expansion rate, Saudi Group today, is broadly identified as a prime leader in marketing, sales and distribution of a comprehensive range of construction supplies including all kinds of wood, reinforcement and structural steel, chemicals, safety equipment and many other recourses. It proudly operates a large number of outlets within Saudi Arabia, with offices in Kuwait, UAE, Qatar and Lebanon. To ensure first-class service, each distribution outlet is managed by a panel of highly trained and qualified professionals who maintain close relations with our customers to make sure they are provided with superior service that will fulfill their every need. Saudi group was successfully able to raise a prominent reputation over the past few decades through consistency, flexibility, dependability and quality in all products and services. Although its reputation is exceptional in the industry it continuously strives to enhance and improve every individual area of operation and thus reach unprecedented heights in its standing. 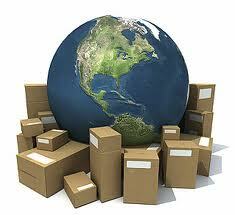 One of the company's focal points is the prompt delivery of quality products to its customers. Its transportation department effectively operates a large number of trailers, vans and trucks with capabilities to distribute products all around the kingdom. The company's retail and wholesale operations have attracted an increasingly immense customer base. The strategically located warehouses in all particular districts maintain an elevated level of inventory making merchandise regularly available on the spot for other wholesalers and distributors. The efficient management programs, that control inventory and distribution processes, have significantly contributed in acquiring an escalating market share and the ability of expansion to new horizons in the market and the region. Another factor that leads to the company's market growth is the aptitude of its executive management to study and analyze market trends for a growing number of diverse products, and its capability to rapidly adapt to changes keeping a solid foundation for customers to rely on. Saudi Group was able to capture key opportunities and thus expand through its committed and motivated workforce. We consider our professional business development teams as vital assets key to investing and utilizing opportunities within Saudi Arabia and across the neighboring Gulf areas. The company deals with local products as well as imported products. Imported products come from around the globe. It is our policy to always find the best quality for price ratio from every country in the world and to make it available in our market. Imports come from a vast number of nations including Germany, Russia, Turkey, Romania, Finland, Spain, Italy, China, Malaysia, Thailand, Brazil, Canada and many more.